Our product infrastructure team is looking for a data engineer to reform the Wikimedia Foundation’s approach to data instrumentation, so that we can continuously learn how to make Wikipedia and its sister projects more useful. This is a great position for you if you love instrumenting the full stack and cherish the opportunity to help software engineers, data scientists, and product managers through better data engineering tools and techniques. You will play an important role in improving our data insight capabilities, nurturing an even more data informed culture in our products and programs. You will have the opportunity to work with software that serves over half a billion pages per day through Wikipedia (and other Wikimedia sites), build components that operate in a privacy first manner, and modernize code and practices that support experimentation, measurement, monitoring & alerting, and reporting in our product department. Are you ready to write open source software that operates on data at the scale and speed of Wikipedia traffic, innovate in applied data science that respects user privacy, and help create a world in which everyone can freely share in the sum of all knowledge? We are a family friendly employer and have a great benefits package. We look forward to your application. 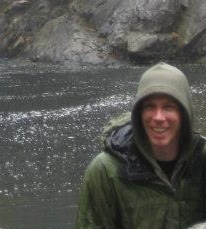 2+ years building web and apps involving instrumentation components, frameworks, and data models. A bachelor’s, master’s, or doctorate in data science, computer science, or other scientific field; or equivalent experience. Experience with an internet software environment operating at scale. For example: messaging platforms that process hundreds of thousands of events per second. If you have any existing open source software that you've developed (these could be your own software or patches to other packages), please share the URLs for the source. Links to your projects on GitHub, GitLab, BitBucket, etc. are exceptionally useful. 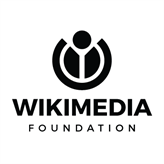 Senior Software Engineer - Data Engineer at Wikimedia Foundation, Inc.